Courtesy of Gibson Sotheby’s International Realty, Michael Carucci. Introducing 208 Beacon Street, one of Back Bay 8217;s premier residences. 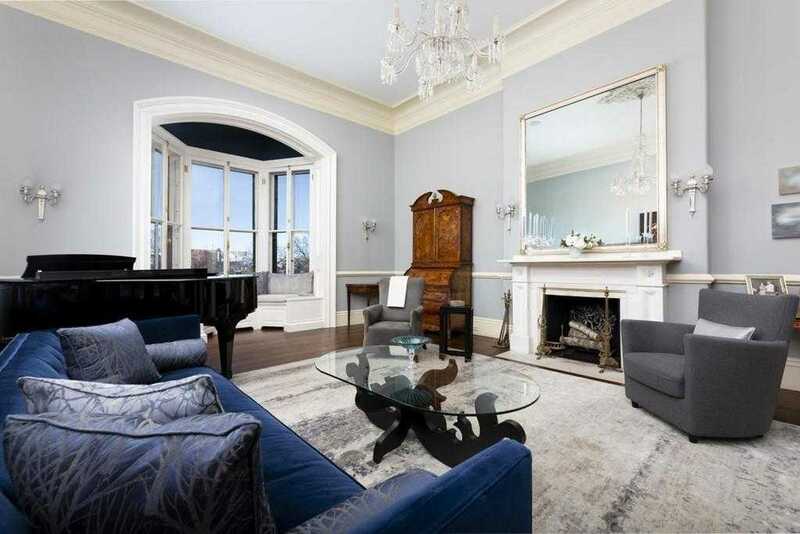 This sunny side, river facing brownstone is the epitome of sublime city living. Renovated and restored with six floors of exceptional living and entertaining space. An architectural showcase, designed by the professionally trained owner with Miami-based CMA Architects and Contractors, MF Reynolds. No detail was overlooked to blend original features and custom finishes to curate a modern, sought-after aesthetic. The grand staircase leads to the stunning piano nobile entertaining level with formal dining and living rooms with 14′ ceilings. Beyond the master suite and family bedroom floors lie two oversized rooms connected by a full bath and laundry, offering its owners private studies or guest quarters. Entertaining awaits on the river-facing deck, roof deck, and private, enclosed yard with loggia that leads to the 2-car garage. A private elevator and au-pair suite complete this luxurious yet livable legacy home. Disclosures: Electrical Upgraded To 400 Amps/208 Volts. Elevator Services 5 Floors, Pre-wired For 6th Floor. Inlaw apt. on Inlaw apt.